Lead capture ads on TikTok is new but lead capturing using ads is not. A visitor lands on your website hang around for a while randomly browsing your 2019 accessory collection when a form pops-up in front of him asking for contact information. The form is lengthy. It does not auto-fill information, either. The visitor, at this point, does not want to share details. Disappointed, he leaves. Thankfully, lead hungry marketers can breathe a sigh of relief as they can still successfully capture lead information. Where lengthy forms are slowly fading out, lead capture ads are quickly emerging as a means to collect information to find new customers who might be interested in your brand and product. Even an emerging platform like TikTok believe in the potential of Lead capture ads and are actively testing them. Be it sign-ups on newsletters, price estimates, phone numbers, email addresses, lead capture ads can be used to fetch all this information and more about your contacts. Even better – you as a marketer don’t need to fret about creating forms in the first place. Facebook Lead ads, for example, have ‘Instant Forms’. These forms allow people to express their interest in a product by filling out certain details, based on which you can choose to follow up with them. An added advantage of such Instant forms is that they allow you to even ask potential new customers certain questions. This way you can find out their ‘readiness’ for buying, and, classify hot leads from the rest. Progressive profiling of leads is another such smart development based on machine learning that has replaced lengthy forms. This advancement allows saving time on form fills by personalizing questions, and creating smart surveys! Just like Facebook, a number of other social media platforms are now making the switch to Lead capture ads. LinkedIn, for example, has followed the same trend and taken to lead capturing ads. As pointed out before, popular emerging channels like TikTok, are keen on running Lead capture ads too. While today lead ads have become a norm for a number of social media channels, Google was the first to start the fire. By building communities first and then targeting these communities with lead capture ads, Google revolutionized the whole lead capturing process. Ad traffic quality is a big contributor to the final quality of leads your campaign can generate. When you have an already existing group of people with a common inclination towards something, with similar demographics, and interests, you can target them with more relevant content. With that idea, Google launched lead capture ads. A case study on LinkedIn lead capture ads shows that after 26 days of running this ad on a budget of £3,000, Hallam was able to generate 56 leads. The reason why this company took to lead ads was that although already using Google AdWords to acquire leads they thought they could achieve better results through the many targeting options LinkedIn has. With Linkedin Lead ads, the company was able to target highly authoritative decision makers, and therefore, the quality of leads was undoubtedly better. A single picture or even a string of words put together, can’t communicate as effectively as a video. That’s why video marketing is rapidly spreading its wings. Exactly for the same reasons, post-2016, Youtube has become the second most popular social media channel. That’s why today Instagram stories are far more popular than Instagram feeds. That is why TikTok today the most downloaded app in the U.S. And, that’s why Cisco has projected that by 2012 global internet traffic from videos will make up 82% of all consumer internet traffic! The main reason why videos are so much more preferred (and better) than other forms of content is that they are capable of generating comparatively higher attention and engagement rates. Stats establish that consumers are 27 times more likely to click on a video ad than on a banner ad. But just liking and clicking on videos isn’t any use unless the content actually gets shared. The good news, however, is that social videos generate 1200% more shares than plain images and text. With all these stats clearly pointing out how important video content is, no doubt that social media platforms are taking to lead capture video ads. The benefits of video ads cannot be overlooked. Win a large share of the audience on mobile. Because the ad forms are pre-populated and can fit a small screen optimally, people can submit their contact information with utmost ease. Engage the audience on every platform better, and win more shares on your video ads. Target the right people. You can pair your lead ads with ‘audience selection’ and be sure about that the quality of leads you generate. Take the right action. By syncing the leads captured by these ads directly on to your CRM, you need not wait for sales to take timely action. And, last but not least, you reduce drop-offs that otherwise happen when using long, irritating forms. Millennials love videos, be it watching or creating them. Even when shopping online, 80% of millennials refer to product or brand videos Click To Tweet. 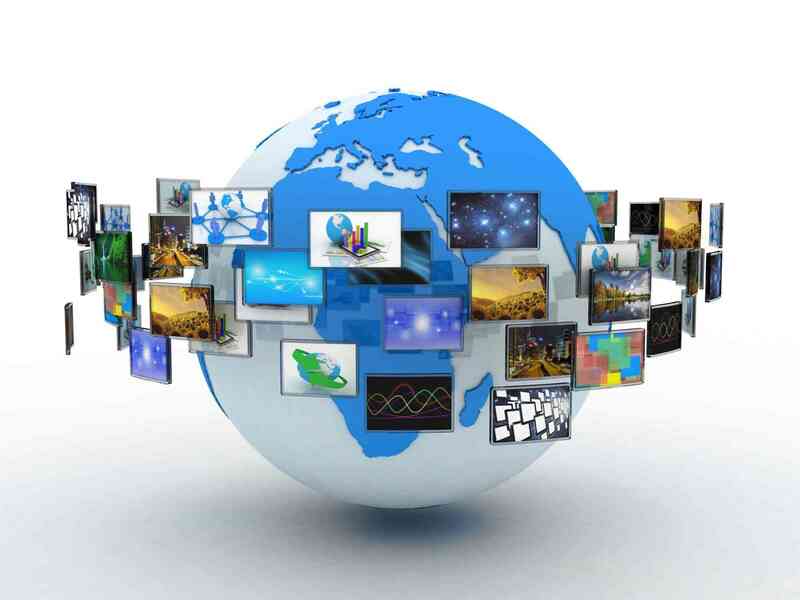 As far as watching videos is concerned, while the popularity of television is diminishing, channels like Netflix are a big hit with this generation. The reason – Netflix has charmingly nailed targeting and feeds super relevant content to its audience. Television is an incredible failure in this aspect. And, as far as creating videos is concerned, you would be surprised to know that over 500 hours of videos are created and uploaded on Youtube every single minute! The question is WHY? What makes marketers jump the gun when it comes to video ads, be it on Facebook or YouTube or TikTok? You see, the end goal for all of this is to capture leads that will convert into customers. We all know, conversion is not a one-step miracle. There are multiple lead nurturing activities that take place in-between capturing and converting. Almost 80% of businesses use marketing automation tools that help them in creating, scheduling, and publishing numerous behavior-driven activities. Fast becoming the most popular app in the world, TikTok gives everyone their sixty seconds of fame. As a user, you can log in, quickly create your own video, share it with the world. If your followers like what they see, they share it with others. 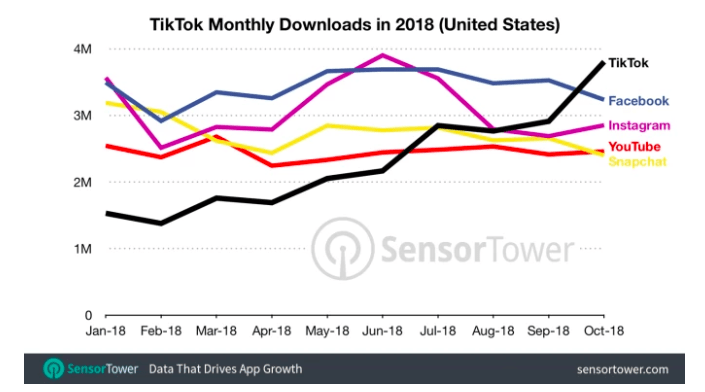 TikTok’s U.S. installs were up 237 percent from 1.13 million in October 2017. Also, as of June 2018, the app had reached a global monthly active user count of 500 million. The rising popularity of Tiktok is not just because millennials love the very format in which content is shared on this app, but also because of the increased amount on ad spending. With a vast user base that is rapidly expanding, the social media platform is now seriously looking at ads to grow and monetize. The app has recently launched its first in-app ad unit. As of now, the platform does not have any paid advertising. However, TikTok is in the testing phase. The platform might actually be up to something as it has recently launched its first in-app ad units. ( We’ve pointed this above, already). The following ad recently appeared for 5 seconds when a user launched the app. The option to instantly skip the ad via a button was available to the user. The same ad was spotted by another user on January 26, 2019. Also, as reported by Techcrunch, TikTok is testing a new ad product. As per what Techcrunch discloses, In the TikTok app, a video labeled “Sponsored” from the bike retailer Specialized is showing up in the main feed. The video also has a blue “Learn More” button clicking on which directs users to get more information. Presumably, this button could send users to the advertiser’s website or any other web address, but as of now it only takes the user to the Specialized Bikes (@specializedbikes) profile page within the TikTok app. We’re always looking at new ways to engage with and attract new diners, and you likely saw an ad run as part of a test campaign we’ve recently executed. Why is TikTok testing Ads? TikTok is testing ads because marketers need it. It has managed to garner a large user-base already. If marketers get an opportunity to tap into this user-base, it will benefit both ends. Also, TikTok knows that most marketers want to capture leads to trigger relevant automation campaigns. After all, we are living in the time of personalization and nurturing! If a brand is using Aritic PinPoint and is looking to launch lead capture ads on TikTok – this would be the ideal workflow. For explanation reasons, we’ll assume that you are ready with your first TikTok ad. You are definitely on Aritic PinPoint. When you publish your ad on TikTok, it will start getting views. The call-to-action button on your ad will redirect your visitors to your landing page where you will already have a form ready to capture their details. You can build this landing page for your visitors right within Aritic PinPoint. Not just that, you can have two versions of this landing page – one for new visitors who will see the form to enter details and one for those who have already opted in. These are already your leads and will see some other relevant content or offer on your landing page. The Dynamic content feature will let you do such wonders in a snap. Moving on, your new visitors who fill up and submit the form are automatically added to your segments. Thanks to our dynamic segmentation, your contacts are automatically categorized based on all the rules you’ve set up. You know where this is heading, isn’t it? You guessed it right. Lead capture ads on TikTok is just one medium for marketers to attract their target buyers into their segments. Once they are in your CRM, you have multiple nurturing opportunities opened up for you. You can launch automation campaigns that are behavior-driven or event-based because now you’ve started monitoring your contacts as well. You can nurture them with various downloadable content assets or invite them to an upcoming webinar. Below is a small snippet of how an email automation campaign is seamlessly built on Aritic PinPoint for a webinar segment. 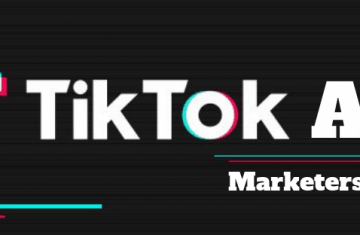 TikTok is a platform that believes in, borrows from, and grows on user-generated content. As a result, most brands are as of now running influencer marketing campaigns on TikTok. With influencer involvement, these brands can reach out to potential new users. Because influencers have an already established follower base and are extremely popular as well as trusted by their followers, anything that an influencer endorses is likely to get quick identification. On the other hand, some brands are collaborating directly with TikTok to run campaigns, leveraging the power, popularity, and virality. The reason is simple – they want to get new leads onboard directly into their marketing automation tool. They can then filter good leads and start triggering relevant and contextual automation campaigns across various channels (ofcourse those that will give them results). 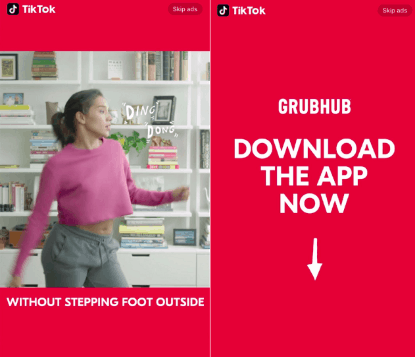 Here are some ways brands are using TikTok to trigger lead capture ads on TikTok. In collaboration with TikTok, Guess launched a campaign called #InMyDenim. The users of the app were to be the promoters of the campaign. This is a classic example of user-generated content, where the current user base is used to promote and hence influence new users to participate, buy, or convert. This is a great example of how brands can use TikTok to push user engagement, increase higher purchases, and establish brand recall. Another brand that followed suit was Jimmy Fallon with its #Tumbleweed Challenge. A number of brands are experimenting with hashtag challenges to involve and engage their audience. However, that’s the catch in itself – creating a campaign worth winning the virality. Also, TikTok as of now isn’t focusing on advertisers yet, which makes it tough to track campaign success. To get more footfall on their hashtag challenges, brands can create sponsored hashtag challenge ads. In running such an ad, your banner will display on the TikTok Discover page. 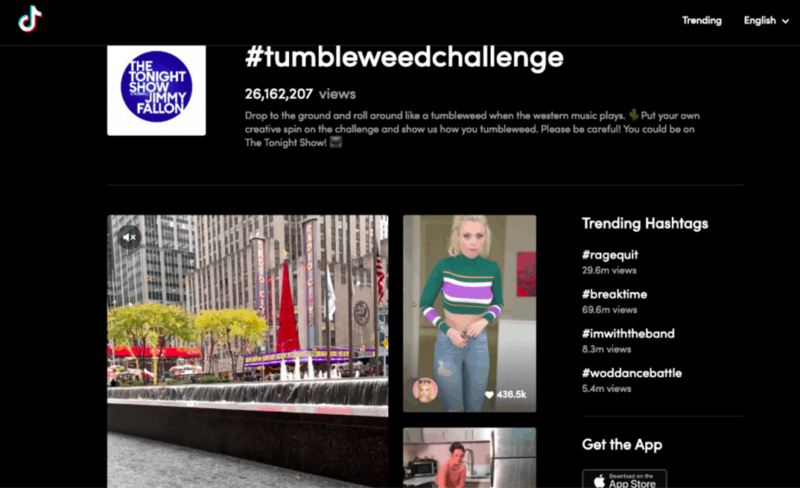 The ad will drive users to a challenge page featuring all the instructions for the hashtag challenge and existing user content on that hashtag challenge, same as Jimmy Fallon’s Tumbleweed challenge Page. Other than hashtag challenges, brands can build recall and win more engagement from In-feed native video ads. Such ads in TikTok must last between 9 to 15 seconds. Much like Instagram stories ads, in-feed native videos in TikTok are displayed in full-screen. The objective of such ads is to bring in more app downloads or website visits. As discussed in detail before, TikTok propels user-generated content. If you are a TikTok user with a huge fan following, you automatically are counted as an influencer. Of course, if you are a celebrity, you are bound to have a huge following and hence qualify as an influencer. Brands use the popularity and the already established user base of influencers to bring in more footfall for their own brand. Brand Adidas used Douyin to promote its youth-focused brand, Adidas NEO. The brand partnered with celebrities and TikTok influencers such as Yiyang Qianxi as well as Dili Reba to grow its presence. As per reports, Adidas Neo account won 1.21 million followers and 2.8 million interactions in its first month on the TikTok. The popularity of Do-it-yourself videos and marketing campaigns can never fade. Be it Facebook, Instagram, Pinterest, or Youtube, these videos always win loads of engagement. That’s why brands are even using TikTok for DIY marketing campaigns. Chinese restaurant Haidilao introduced a “DIY” option to its menu. A customer eager to take up the DIY option requested to create his one off-menu dish. The restaurant encouraged him to participate and film the experience on Douyin. This is a really creative way in which brands can make users participate, win more engagement, and get in more people to visit their restaurant. Be it ads, hashtag challenges, influencer campaigns, or in-feed videos, creativity is the key. The idea is to provide engaging content and a great visual experience to people on a platform like TikTok. Brands have to understand the fine line between a nudge and being pushy. Moreover, when it comes to lead capturing, ad features such as tagging and attribution should be used to track the user behavior and engagement so as to win a relevance audience. When you are creating fun campaigns for a highly relevant audience, your engagement rates, and brand recall will definitely get the needed boost.